Art for trees sake – Upper Snowy Landcare, Greening Australia, local botanical artist and some active local school children got together to plant trees and create art in response to tree dieback on the Monaro. 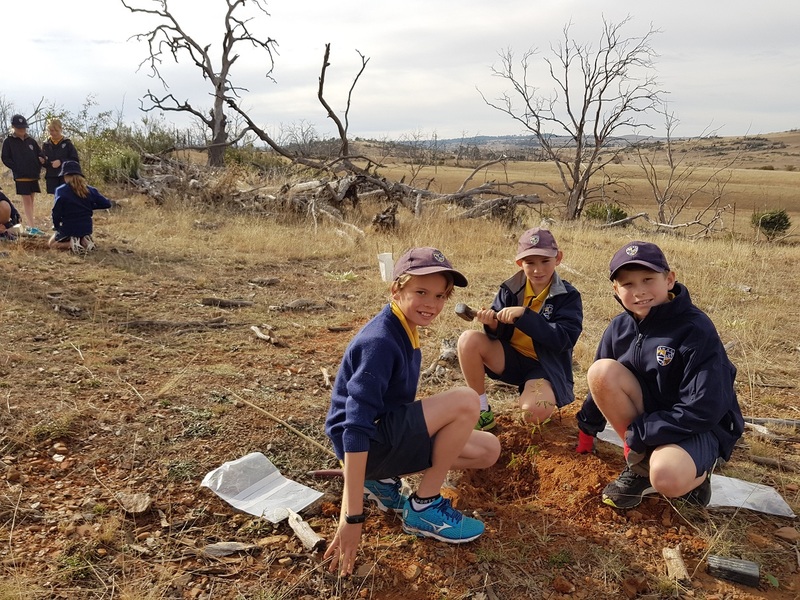 To bring the subject of Monaro tree dieback into sharper focus for local children (and their teachers and parents), primary school students in the tree dieback area were invited to a special day at Cooba Educational Centre. 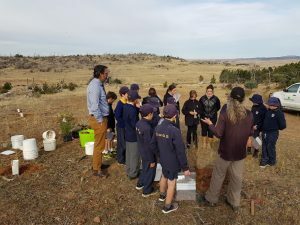 The children were given the opportunity in one afternoon to witness tree dieback up close, discuss tree decline and the importance of a healthy biodiverse landscape, plant a local native tree with Greening Australia (funded by the NSW Environmental Trust) and be instructed by botanical artist Sharon Field. 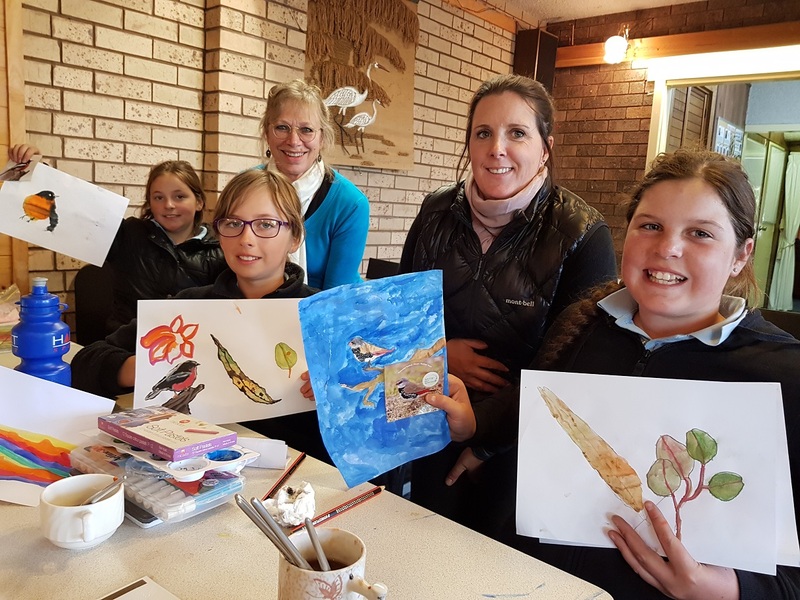 Ms Field’s fine botanical art will be exhibited at the Cooma Raglan Gallery in September under the project name, ‘Monaro Runes’. The art completed by the students will also feature in this exhibition putting an educative and dramatic creative spotlight on this extraordinary event.